In the domain banosdefuensanta.com to through joomla, can´t not acces to the template. The plugin is installed, the cookies and files temporary also are cleare. Attached an file whit the detal. Page in blank. I need enter in the template for modified the design mobil. I access to the files through Cpanel and I solve the situation. It is always better to first update the templates (in Themler to the latest version, or at least manually in the files) and only then switch to hiegher CMS version. Can you access the files via ftp to update them? Maybe the user you are logged in under doesn't have enough permissions to edit the files directly in Joomla? If you have the theme saved somewhere, open it in Themler, update to the latest version and simply re-install to Joomla. I´m updating all the pages of my clients in joomla 3.9.1, in the domain cocimobelsl.es too it has appeared the page in blanck. But in this case when trying to open the folders to make the modifications, can not open the files. I hope you help my by solve this. I follow yours indications and I solve the problem. I do not know, I hope to receive the answer here. And, what is the solution? 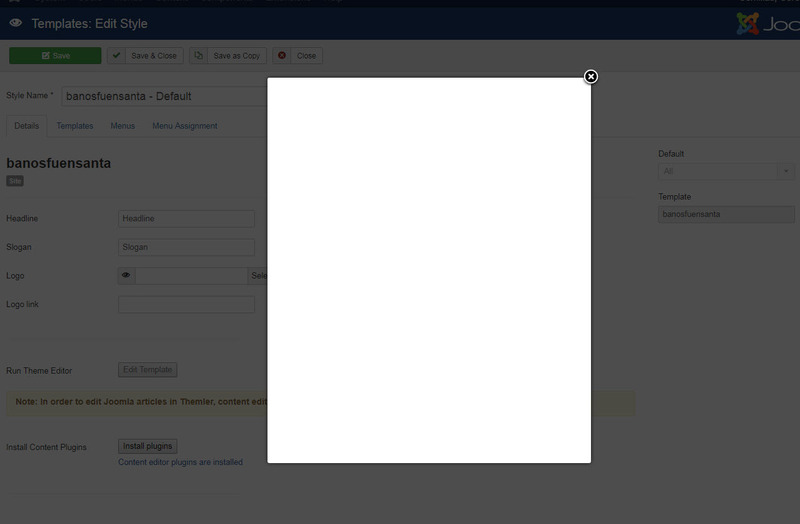 same exact problem with Joomla 3.9.1 !Cattura.JPG!